Located in Winchester, Massachusetts, Winchester Hospital is the leading provider of comprehensive health care services in northwest suburban Boston. Winchester Hospital serves the health care needs of northwest suburban Boston, including Andover, Arlington, Billerica, Burlington, Malden, Medford, Melrose, Methuen, North Andover, North Reading, Reading, Stoneham, Tewksbury, Wakefield, Winchester, Wilmington and Woburn, as well as several other surrounding communities. Winchester Hospital's main campus is located at 41 Highland Avenue in Winchester, Massachusetts. Our main telephone number is 781-729-9000. In addition to acute-care inpatient services, Winchester Hospital also provides an extensive range of outpatient services as well as integrated home care. Winchester Hospital provides care in major clinical areas including medicine, surgery, pediatrics, cancer care, obstetrics/gynecology and newborn care. Winchester Hospital is the leading provider in such important medical specialties as cardiology, pulmonary medicine, oncology, gastroenterology, orthopedics, rehabilitation, radiation oncology and pain management. 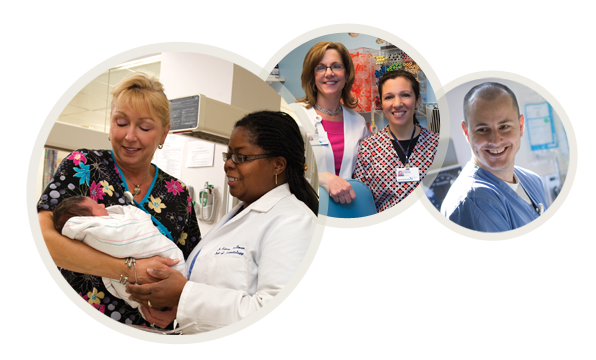 Winchester Hospital is also recognized as one of the area's most prominent obstetric and pediatric hospitals, with more than 2,000 babies born every year. Services to maternity patients include access to a Special Care Nursery staffed by neonatologists from Boston Children's Hospital who care for newborns in need of the clinical intervention of a Level IIB nursery. Through an innovative partnership with Boston Children's Hospital, physicians offer 24-hour coverage for inpatient care and emergency services. Winchester Hospital's commitment to women's health care extends beyond its recognized obstetric service. The Winchester Hospital Breast Care Center, located in Woburn, is a regional evaluation center offering breast health resources to women. In addition, the hospital's mammography centers, located in Wilmington, Winchester and Woburn, offer a full range of educational and diagnostic services. Winchester Hospital is also committed to giving its patients access to the highest quality technology available in a community setting. The hospital offers the state-of-the-art da Vinci robotic surgical system and is a leading provider of diagnostic services. Advanced imaging technology includes digital mammography, CT scanners, and state-of-the-art MRI units.